My debate with Stephan Kinsella over intellectual property is only 2 days away. The debate will be posted here at EPJ and by Kinsella at his site, at 5:00 PM ET on April 1. Although some Kinsella supporters in the comments to my posts seem to think that I am bluffing when I say that I will bring up errors made by Jeff Tucker, I am not. I have example after example of errors made by Tucker. He really has no understanding of IP, and is the last guy that should be weighing in on Kinsella's views. Listen through out the debate as I sprinkle Tucker errors and use Kinsella to destroy some of the absurd things Tucker has said. 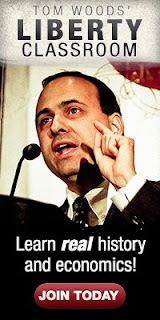 The prominence Kinsella's IP views have achieved within the libertarian movement are largely the result of Tucker, who has trumpeted them without understanding what he was talking about. On another point, although, I will show the weaknesses of Kinsella's argument in many, many ways, pay particular attention when I discuss Kinsella's "framework" for his theory. It is the most absurd framework I have come across, I will point out its absurdity and explain the correct framework. I recommend lots of popcorn. What a clown. Another prediciton: [Wenzel] will not debate me. He will find a way ot [sic] weasel out of it, like a worm. This is going to be an interesting debate, to say the least. I didn't think to question IP or look into it further until I started reading this site regularly. Who says you are bluffing about Tucker? The real question is, why is he even involved? It seems like you are making Jeffrey Tucker into a straw man. How is pointing out errors, that Tucker has made about IP, creating a straw man? Do you even know what a straw man is? Wenzel is planning on attacking Tucker, casting doubt on or showing flaws in his arguments, then declaring in turn that Kinsella's arguments and positions are wrong because they are the source of Tucker's position. He's literally using Tucker as a straw man and not just using a clever rhetorical device. Understand? Ultimately, Wenzel has a beef with Tucker, not Kinsella per se. No one is talking why but it goes back around the time of the infamous exchange regarding publishing of Hulsmann's "Last Knight of Liberalism" while Tucker was still at the Mises Institute. It's all very petty and I'm still convinced that Wenzel's going to be made to look very, very silly during this discussion. Yes, Joe, I know what a straw man is and "satch" summed it up very nicely. satch12879, you are reading Wenzel's post the way you want to read it. It is not a straw man to criticize Tucker's views. "Although some Kinsella supporters in the comments to my posts seem to think that I am bluffing when I say that I will bring up errors made by Jeff Tucker, I am not. On another point, although, I will show the weaknesses of Kinsella's argument in many, many ways, pay particular attention when I discuss Kinsella's "framework" for his theory. It is the most absurd framework I have come across, I will point out its absurdity and explain the correct framework." So since apparently you're having trouble reading this without making an unnecessary interpretation, let me explain it to you. Wenzel does not believe those who are anti-IP are correct. In this debate, he wants to make sure that Tucker's errors are pointed out to destroy the incorrect foundation he believes Tucker has built, thus eradicating the popularity those views have. He wants to cleanse the misunderstanding people in general have about IP. IN ADDITION (note this is separate), he wants to debate Kinsella's own argument. He believes Kinsella's actual view has flaws that he wants to point out. I don't know if Wenzel is right or not; I am only pointing out the obvious intent he has. You cannot say he is planning on making a straw man argument when he has given no reason for you to believe that. At the most, you can say that he is bringing up something irrelevant and off topic by bringing up Tucker's views, but even there I wouldn't completely agree with you. Misunderstandings that exist should be cleared up in clarifying the IP position Kinsella holds. By absurd framework, are you referring to Hoppe's work on property as discussed in A Theory of Socialism and Capitalism? I don't agree with the premise that Kinsella's views have gained their currency owing to Tucker. They were already being widely discussed and adopted long before Tucker took them up. In any case, you're debating Kinsella, not Tucker, so it seems to me you ought to focus on pointing out the weaknesses in Kinsella's case, not shifting the subject to what Tucker has said or written. That seems like a distraction. I am not forgetting Kinsella. I will smash them both. The libertarian movement needs to be exorcised of this nutty anti-IP view completely, whether it is promoted by Tucker or Kinsella. Tucker will be easy to take care of, because he really has no clue. I will use Kinsella to destroy Tucker. Again, the question I've posed a few times on these posts remains. Do you also disagree with Hoppe and the nexus of property, scarcity, and conflict? Is he in the "nut" camp as well? I agree with you Dave. Tucker has definitely drawn a lot of attention to the debate on IP (patent, copyright, trademark) in his recent works (Bourbon for Breakfast and A Beautiful Anarchy). But, unless Bob addresses the biggest elephant in the living room is which property and the essence of scarcity (tangible goods which can be clearly demarcated by exclusive control and possession) and non-scarcity (ideas, patterns, designs which exist as superabundance and infinitely reproducible mental constructs) I'm not sure what his theory of property is. 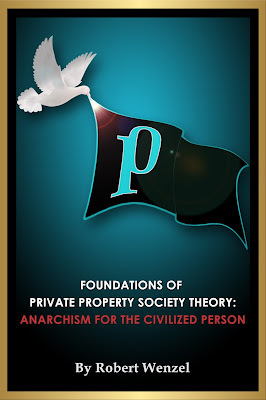 I still do not think anyone can argue against Hoppe's supreme theory/elucidation of property, scarcity, and conflict that exists in Chapter 2 of his book - A Theory of Socialism and Capitalism (available here http://mises.org/document/431) which is the basis for Kinsella's argument in his book found within the "IP and Property Rights" section of his book. I've commented quite a bit on these posts about the debate since I do think the debate/dialog on IP is extremely important as both a Software Developer and an Austro-libertarian. I'm a fan of EPJ and think Wenzel (and Chris Rossini) do a lot for the cause of liberty. But, on this argument EPJ is unfortunately in the wrong camp. But, I look forward to this debate and hope it is civil and stays focused on the topic and doesn't drift into inane pot shots. Andy. Do you believe your brain is a scarce resource? Can any other software developer just be plopped into your place, and no difference can be discerned? For that matter, can any illiterate high school dropout take your position without anyone noticing? Do you pay other software developers $120K/yr and then put the software they develop into public domain? I think Wenzel is right in this debate, and I hope he's correct when he says "The libertarian movement needs to be exorcised of this nutty anti-IP view completely". I'm glad a major voice in the Austrian camp has taken this on. It's extremely important, IMHO. Thanks for the response and the questions. "Do you believe your brain is a scarce resource?" Absolutely, my brain as well as the rest of my faculties are scarce resources controlled by me. We have property rights in our physical selves in this world just like we would in the garden of eden. This actually dovetails well with Hoppe's argumentation ethics which produces a very elaborate praxelogical theory of self-ownership. "Can any other software developer just be plopped into your place, and no difference can be discerned?" I'm not entirely sure what you mean by "plopped into your place" since I'm a unique individual (as are we all) this would apply to all sorts of labor not just the software field. We are not homogenous drones that come off of an assembly line so I think your question could be posed to anyone’s job. There is a high demand for developers these days who specialize in all types of roles and fields. Conversely, there is also a rapidly growing interest in the software field. Since we are not graduating as many engineers and comp. sci graduates to keep pace with demand, it is difficult (especially in the Midwest) to find quality talent for IT jobs no doubt about it. "For that matter, can any illiterate high school dropout take your position without anyone noticing?" No, most jobs these days do require you to be able to read. Again, I'm not sure your question is germane to only software or IT jobs. However, web application development (which I specialize in) and other avenues on how to become a programmer/developer outside of a traditional 4-year college are available to those who may not have the means to get a Computer Science degree. And, I would like to note that much of my education, tricks, skills, and techniques I have in my toolbox are thanks to reading, practice, watching, OTJ training, conferences, learn-by-doing ... trial and error work I've taken upon myself to improve my skillset and aspire to keep getting better. But.. i digress. "Do you pay other software developers $120K/yr and then put the software they develop into public domain?" Unfortunately, no I do not have $120k let alone $12k to give to anyone since I do not own my own software house. But, if I had my own set of employees there is nothing nefarious or untoward of requiring all source code written on the company dime to be stored in source control backed up daily at distributed locations and used however way I or company saw fit. I could keep it under lock and key on a privately hosted on-premise secure source control system where I control user access, control, administration, etc. Or I could have everyone publically host their source code on free/public source control places like GitHub, Codeplex, or Mercurial. Obviously the terms of employment would have to be volutarily agreed upon by both me and the employee whatever policy would exist. Believe it or not, the very policy you mention above is what Microsoft ... yes MICROSOFT ... is doing with most of the web platform teams (specifically Windows Azure SDK, ASP.NET, Entity Framework). Don't believe me? http://bit.ly/MKx1aK They even allow regular joes (non-employees) to contribute to features being developed on the web team at Microsoft to accept as "pull-requests" - that is to take the existing code base, make a modification to it, and then submit the new changes/version back to microsoft as a bug fix or new feature implementation. All pull-requests are fully tested, validated, and if all is a-okay - accepted by Microsoft team members. You can call the anti-IP position "nutty", "absurd", "ridiculous" or anything else you'd like. That doesn't change the fact that the strength of the argument against IP is strong on multiple levels and I am looking forward to this debate. I am glad you are doing this, Bob. My money is on you because you are on the right side. I am on the edge of my seat in anticipation. This has already been addressed but I'll chime in: the fact that you plan to discuss Tucker at all is a very bad sign. You're debating Stephan Kinsella, not Jeffery Tucker. What possible reason would Kinsella have to want to defend Tucker, or anyone else for that matter? Heck, even if I disagreed with Kinsella and "agreed" with Wenzel (not sure how I could because other than a lot of bluster, I haven't yet read any substance to Wenzel's case for IP nor am I aware it is publicly available), I would be very concerned by the declaration of such a dishonest tactic being announced. Not only is attacking Tucker a strawman (unless Kinsella has ever publicly stated: "I completely agree with Jeff Tucker and think he accurately represents my views"), it's a red herring. Kinsella shouldn't even address his comments on Tucker since that's an intentional distraction. Were "debates" these days ever truly moderated, Wenzel would be immediately disqualified for such specious tactics. Brings my expectations of his "case" even lower. Jeffrey Tucker has nothing to do with this debate. It would be amateurish to even mention his name. I hope that RW calling the Austro-anarchist libertarian framework Kinsella uses "absurd" and the anti-IP view "nutty" is for PR purposes only. My question is why anyone would want to defend a government-granted "property right" (thus, the right to monopolize, as property means you can exercise full control over) to an idea. If I make a new television and I start hawking it at Best Buy and Wal-Mart. Wouldn't it be fully rational to expect, and consistent with classical liberal societal norms, that other people may study my product and reproduce the same, similar, perhaps even enhanced version of my new television? And if not, why not? Can they not reproduce such a thing for their personal use? Can they not reproduce such a thing and sell it to their extended family, friends, neighbors, or perfect strangers? 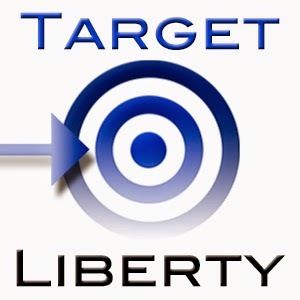 You already endorse a government-granted monopoly on property. I suspect you believe that you should have an exclusive right to your home, your car and your body. So you likely agree in principle with the exclusive right to property to be protected by some enforcement entity. Now let's add IP to the list so that the producers of IP can receive just compensation for the value they create.